“My dad was an emergency room doctor who always made me feel so safe and taken care of. I started college as a pre-med major, thinking I’d follow in his footsteps. That was the case until I was hit by a Ford F-150 that ran a red light; all my plans changed. Suddenly, I didn’t need those surgeries the medical doctors recommended. Dr. Britton had racked up $250,000 in medical bills from his accident. After almost eight months of functional Neuro-Orthopedic care, the was only $10,000. He realized that he’d found the secret to changing how humanity lives. Instead of the frustrating route of multiple office visits to get the nerve testing, MRI’s, X-Ray’s and other important diagnostic technology, we will get you the access you deserve! Paying for surgery and drugs to manage diseases like diabetes, diabetic neuropathy,stenosis, degenerative disc disease, and other chronic health/pain problems can have many side effects and can get expensive not to mention the rehab and recovery. If we can help you, our side effects are a bit of muscle soreness and increased energy, and it costs far less to go to a functional health professional that can use your natural health and immune systems to regain your health. Speak with us today to discuss how we can help you. Dr. Britton then attended Life Chiropractic College West in the San Francisco Bay Area. While there, he was elected to serve two terms as president and was in the Student American Chiropractic Association (SACA). At Life West, Dr. Britton also began a group called Dr. Strange involving other students who were interested in following the neuroscience program. 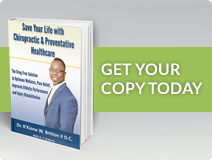 He created the Chiropractic Health Outreach Program to help people in the community learn more about chiropractic and preventative health measures. His organization volunteered at the local Boys & Girls Clubs of America. Dr. Britton had the honor of being selected to the Who’s Who Among Students in American Universities and Colleges during his time at chiropractic college. Once Dr. Britton decided he wanted to become a Functional Neurologist/ Neuro-Kinesiologist he knew that he’d found a way to try and change the way that people thought about healthcare. Dr. Britton is currently Board-Eligible Functional Neurologist. Studying functional neuro-kinesiologist through the Carrick Institute. He has already completed over 2000 post doctoral hours in neuroscience and Kinesiology. 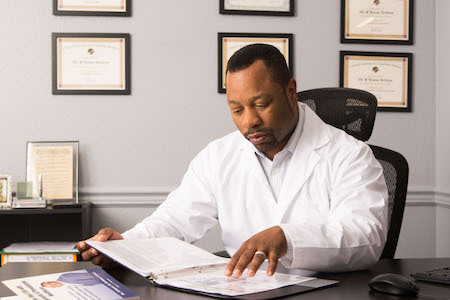 In addition to his Doctor of Chiropractic, Dr. Britton has undertaken additional postgraduate studies. Comprehensive coursework in Functional Neuro-Orthopedic Rehabilitation. He has over 100 hours of training in Professional Kinesiology and is certified in the advanced Myofascial Release soft-tissue technique of NMR. He also practices the Chiropractic BioPhysics® (CBP®) technique for addressing the unique cellular properties of bone that allow for utilizing the biolelectric properties of the skeleton and allow the reversal of degenerative damages to the spine and skeleton. Community service and involvement are important to Dr. Britton. He has volunteered with the Arthritis Foundation in Orange County. Dr. Britton also served as the Orange County physician coordinator for Arthritis Introspective, a support group for those with arthritis, inflammatory diseases and autoimmune disorders. He has been involved in sports all his life and attends morning boot camps to stay in shape. Dr. Britton is an avid reader of all things science-related and science fiction. He’s a history buff and enjoys reading about great leaders such as Nelson Mandela, John F. Kennedy, Jr. and Stephen Biko.